On the day we will have Bill Boorman, Steve Ward, Matt Alder, Wendy McDougall, and many other industry leaders driving debate and conversation about the latest trends and developments in recruitment and HR. 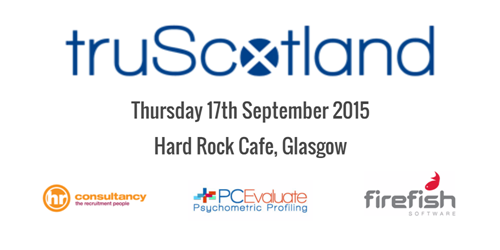 Early Bird tickets are now available from http://bit.ly/truscotland for a very limited period. For more information please give me a call on 07764 754 129.